Are You Eligible For Social Security? The Social Security Administration provides cash benefit payments to millions of Americans in all walks of life. Older people may receive retirement benefits, while working-aged people may receive disability benefits if they can no longer work. In addition, Social Security also provides the families of disabled children with money to care for their needs. Approximately 64 million people receive some form of Social Security benefits. If you or your family is in need of additional financial assistance because of a disability, you may be eligible for benefits. Check with the experienced Social Security disability claim attorneys at Phillips Disability, P.C. to see if you may qualify. While many people think of retirement when they hear the words "Social Security," this government program does more than provide older Americans with financial security. If you are unable to work due to a medical condition that is anticipated to last at least one year or result in death, then you may be able to collect Social Security Disability Insurance (SSDI). If you have ever had taxes taken out of your paycheck, then you have contributed to the SSDI fund. This fund acts as an insurance policy in case a employee ever becomes disabled and can no longer work. In contrast to workers' compensation, SSDI covers disabilities that are not connected to your employment. Processing these claims, however, can be a timely procedure. Many people are denied the first time they apply for disability benefits, and often need to go through a lengthy appeals process before they receive their benefits. With the help of an experienced Social Security benefits attorney, however, your claim may go much smoother. In addition to SSDI benefits, the Social Security Administration also provides Supplemental Security Income (SSI), which is for disabled people with little to no work history, or those who have been disabled from childhood. Rather than being based off of previously paid payroll taxes, SSI income is based on disability and income. If you have not worked and have little income, or if you support a disabled child who does not work, SSI provides monthly cash benefits to help you and your family support itself. Social Security benefits can be retrieved in a variety of ways, dependent upon when retirement takes place. Those who were born earlier than 1945 are now eligible for their full Social Security benefit. However, the age of full retirement has steadily increased, and is now at age 67. Depending on your individual retirement plan, you may be able to delay retirement past the full retirement age. In this case, your Social Security benefits would be increased by a particular percentage for each year you delay retirement. This percentage is determined based upon the year you were born and will be present in monthly add-ons until you reach the age 70 or start taking benefits. For those who choose an early retirement, Social Security benefits may be received as early as age 62. It is important to note that those who elect early retirement will see a reduction in benefits. Prior to full retirement age, Social Security benefits are reduced by approximately one-half of 1 percent for each month. The Arizona Social Security Claim Attorneys atPhillips Disability, P.C. 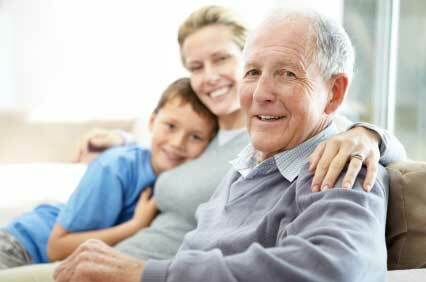 are dedicated to helping our clients attain the Social Security benefits that they deserve. To learn more about howPhillips Disability, P.C. can assist you in the Social Security claims process, call or text 1-800-706-3000 to schedule your free initial consultation today!